Turkish interior and exterior architectural ornamentation of the most colorful arm, tile art, demonstrated in its greatest and the continuous development of Anatolian Turkish architecture. This decorative art enriched with a variety of techniques, always remained faithful to the architecture, butters his superiority, but by creating a colorful atmosphere has increased the influence of the space. You can pull the use of decorative tiles in the Turkish architecture to ancient history. 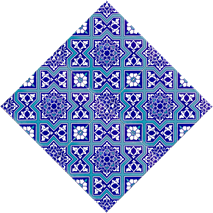 Uighurs, Ghaznavids, Khorezm, and especially if it is known that at least the tiles used in the architecture of the Great Seljuks in Iran. This art, architecture and the various types of very common with the Anatolian Seljuk works has continued its existence until today a huge improvement. The decorative tiles every time, but maintain technical superiority of the previous period with new technical invention and color with this art. the tile art, gold tiles, ottoman tiles, ceramic art, porcelain, chinese art, china art, china tarihianadol religious structures in the Seljuk architecture is decorated with mosaic tile technique. In this technique, turquoise, purple, green, depending on the desired sample of tiles glazed in dark blue plaster cut pieces were brought together on the floor. 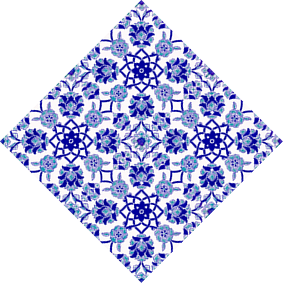 Koike and the Seljuk palace, stars, cruciform, hexagonal, square, rectangular plate as it is covered with geometric tiles. The Seljuks also gives a metallic luster glaze is applied on “Finishing” have developed the technique. In addition to religious structures of geometric composition, abstract floral motifs such as arabesques and palmettes gave place in the curved branches. Also, very effective large kufi and decorations made with sülüs also holds an important place. The decorative tiles in Anatolia palace people in various postures, hunt animals, birds, double-headed eagle, dragon, mythical creatures such as the sphinx of them reveals a rich collection that the figure found. 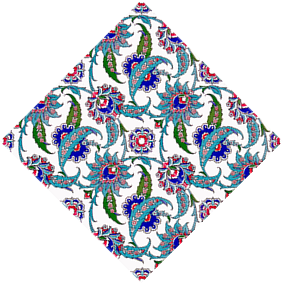 Seljuk period, Konya has been the center of decorative tiles. brick and glazed bricks were used in the first instance. But, cut mosaic tiles in a short time with the coating all surfaces have reached a superior level. One of the earliest major building including decorative tiles in Anatolia, Istanbul is the tomb Keykavus. Seljuk Sultan Kaykaus I resting in front of the tomb, tiles and mosaic tiles decorate the plate with the written report the death of Sultan has a splendid view. That the weight of the geometric composition of this nature, it is the Marendl belirtilmiştir.13 masters in two small cartridge made by scraping technique. century Old Malatya tiles in the courtyard portico with domed iwan and the Grand Mosque, the success of this depends on the architecture and decoration is a magnificent example. As mentioned in the inscription engraved tiles, Malatya consists of the masters, reveals that this art is now an artist in Anatolia successfully. Anatolian Seljuk tiles adorning the center of the most important architectural structures in Istanbul, the city of the art shows that an elite center. Alaeddin Mosque on the altar and in the transition to the dome are decorated tiles. Also Sırçalı Madrasah (1243) iwan mosaic tile decorations, touch-inscription is important to have an artist’s name. In Anatolia, the artist who came from a family of Tus Iranian city of Konya and the surrounding events that show, it is understood the similarities seen in other works. Konya Karatay Madrasa (1251), high level reached by the Seljuk period, mosaic tile art, especially in the dome, covering almost every facet of the structure reveals the mosaic tile decorations. When we look carefully at the composition, severe mosaic tiles in this building and it was placed in a conscious way it takes.the owner Ata Mosque and Complex in Konya (1258-1283) decorative tiles, they also illustrate the widespread use of the eyes in the development of the Seljuk period, and architecture. The mihrab of the mosque, the minaret of the body of the sarcophagus in the tomb, belts, cellular networks all windows are covered with exquisite example of Seljuk tile art. In these examples it is seen that cover larger areas of floral motifs. Gok Medrese in Sivas (1272), however, indicates the point at which there towards the end of the 13th century Seljuk tile art. The inside of the iwan vault, reveals that mosaic tiles relief as applicable. We also decorate the back wall of the antechamber, previously seen in Seljuk structures instead of plain brick decoration in Iran, is interesting in terms of showing that the whole mosaic tiles used in Anatolia. The Gok Medrese’s tile in front in Tokat iwan gives a summary of the motifs used in the Seljuk period mosaic tiles. Tea Stone School’s in town (1278) Introduction liwan turquoise tiles cut from red brick and has a lotus-palmette frieze. The tiles on the altar, the first and last time Turkish tile provides a decorative applied art form. 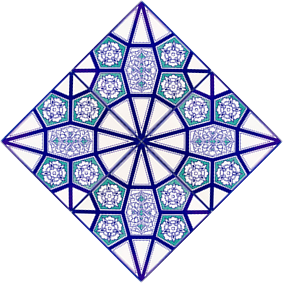 Turquoise and purple colored tiles and created a node motifs seen in Byzantine art, in “God” and “Alice” has created an original arrangement, combined with written eight-pointed star. The magnificent altar Arslanhane Mosque in Ankara, 13 indicates the richness and technical development was reached century. The mihrab turquoise and navy blue colored mosaic tiles are used, plaster ornamentation an important place it takes.selçukl era palaces and mansions, unfortunately, did not come as strong today. But as a result of excavations was understood that these structures are covered with rich decorative tiles. Called Alaeddin Pavilion in Konya, but the job. Kılıçarslan time construction began on the building ruins, only used here in the Anatolian Seljuk art “Mina” has been done through a technique called tiles. This tile is yellowish color of dough, the dough is binding, alkaline lime is used. Very good knead the dough is formed into sheets and were glazed without priming. These tiles that seven colors are used, based on high-temperature green, dark blue, staining pattern was then carried out under glaze colors purple and turquoise. Then black, brick red, white and gilt painted glaze was fired again at a temperature of lighter again. Implementation was making quality products that are very difficult revealed by this technique. Star made with this technique, cross-shaped diamond and square in china plate, Seljuk era palace variety of animals next to the reflecting throne and hunting scenes of life and stylized plants also sult the Alaeddin have Keykubad Kayseri Keykubadiye (1224-26) and Beyşehir Kubad Abad ( 1226-37) at the palace square, eight-pointed star and cruciform china plates, paint and glaze glaze under which they are made with metallic luster polishing technique. Besides the geometric motifs in Keykubadiye Palace, where the twisted branches that decorate the bottom of turquoise glaze with black spiral square tiles are also used. The Kubad Abad Palace in Beysehir contained numerous figured tiles. Smoothing technique was used in this building. In this technique, pattern, matte white or purple and turquoise glazed tiles on top of silver or copper oxide is treated with a mixture was re-tile a low temperature bakes. Thus, the metal oxide mixture was taken up in the decoration on the tile surface in a thin layer. Cruciform tiles are placed between the eight-pointed star-shaped plates, consisted of a variety of human and animal figures. These examples, Seljuks worldly and symbolic depiction of the enriched understanding of the use of tiles period is not much in the grand Seljuks. But in some cases, it is seen that still maintain the success of this art. Especially Eşrefoğlu Emirate Mosque in Beysehir (1299) and the tomb next (1301), has the most magnificent tile decoration of this period. Providing access to the mosque and the inner door bearing the inscription is like totally a team that emphasizes the triumph of art tile with mosaic tile covering. In mosaic tiles covering the dome of the tomb now began the sovereignty of intricate floral motifs. Occurs here mosaic tiles were applied in a technical feature of the pentagonal plates revealed the decorative tiles, Aydınoğlu Principality someday in the Great Mosque (1313) takes the belt when carrying the altar and the altar in front of the dome. The same hackneyed Isa Bey Mosque in Selcuk (1374), the transition zone, the first in the niche axis dome is covered with bricks and star-shaped tiles. Mosaic tile decoration, which is closest to the viewer Karamanli of Seljuk art are also in the Principality. But this time, the application was pushing into plaster decoration. Hasbey Darulhıffazı in Konya (1421) mosaic tiles in the transition to the altar and the dome maintains the Seljuk period features. But Ibrahim Bey Imaret in Karaman (1433) is today exhibited in Istanbul Tiled Kiosk built in flashy colored glaze painting altar we find the influence of the Ottoman ceramic art. The same effect, Germiyanoğlu imaret adjacent II Emirate in Kütahya. Yakup Bey Tomb (1429) on the border of the set where we encounter in a rectangular plate made of colored glaze china painting technique. Since the beginning of the Ottoman ceramic art has shown a great stage and wealth by applying various techniques. Bursa Green Mosque (1419-22) and decorative tiles complex, exhibits the level reached in the first period of Ottoman art tiles. This structure is used “colored glaze” digging deep on the technical design of the contours of red or processed dough by pressing the print, then baked painted with colorful glazes. Another form of red earthenware plate, the contour of the pattern after primed white primer chromium, manganese mixture is drawn with a sugary substance. Then painted with colored glaze is fired. Annealing results in melting of colored glaze, thanks to surging contours flow into each other, yellow, pistachio green and purple in color with the addition has been a richness. 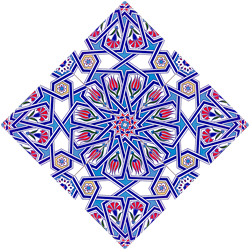 Also, as hatayil composition and peony patterns Far East origin participated in tile art. This innovation participate in the ceramic art Ilyas Ali bin Ali has the largest share. Bursa is actually taken by Timur in Samarkand masters 1402, there are new techniques and styles of learning, which brought about the return of Tabriz carried out in Bursa products with the masters. In addition, the fully tiled sultan’s loge Green Mosque, Mohammed al-Majnun name was also written with tiles, the master who was thrown iftaharl this section is like a signature. That gushes out of the flower vase and two candlesticks on the altar of the Green Tomb hill with hanging lamps composition reveals the changing style of the decoration. Çelebi Sultan Mehmed completely while the sarcophagus covered with tiles of colored glaze technique, tiled tomb of the most magnificent of the Muradiye Mosque and schools .bursa (1425) The decorations are more limited, mosaics and various forms with colored glaze painting technique monochrome glazed plate consists of ceramic. Muradiye Mosque in Edirne (1436) The tiles exhibit the development of the first period of the Ottoman ceramic art tiles. The mihrab, transparent colorless glaze below shows a blue-and-white technique consists of using the technique with colored glaze technique stages of the tiles. The period in rich folds rumil altar surrounded by the knotted ribbon in illumination and a unity of style that integrates with stenciled decorations are detected. Besides, most of Far East origin, various vegetable decorations, adds richness to the composition. Secrets under the blue-and-white hexagonal tiles decorated plates, cups walls combine with triangular plate which is placed between the turquoise tiles. Three cheers to the mosque in Edirne (1437-47) in plate pediment two tiles in the courtyard under a transparent glaze is applied to the blue-white turquoise and magenta appears to be involved in. Small flowers, lehezon who twisted branches and written inscriptions, the decoration of this nature main desenleridir.15. colored glaze painting of the century, in the 16th century, especially while in Istanbul. Yavuz Sultan Selim Mosque and Tomb (1522) in china, after baking the unglazed left blank in the field of color glaze painting is understood that the colored stained with red paint. prince Mehmed Tomb (1548) columns for covering the tile decoration, architectural form that contains the header and base are seen. Here the idea is depicted as a portico supported by columns. These samples revealed the most common use is compatible with the architecture of the colored glaze technique sermektedir.16. All the techniques in the second half of the century was abandoned. Only “underglaze” he started to use techniques called. In this technique, a primer before the ceramic plate is pulled and then drawn to the desired contours and are painted inside the sample desired color. Prepared china plate is immersed into the oven after drying secrets. All color under the transparent glaze thin glass sheet in the furnace occurs in the bright field state as possible. This period also participated in an original coral red colors but that will last until half a century. Very good quality in a technical and yapılanb tiles with an elegant design concept, now a naturalist insights drawn tulips, hyacinths, carnations, roses and rosebuds, various flowers such as irises and daffodils, grapes, spring opened trees, cypress and even apple trees, a superior creative power enriching compositions. In addition, sharp-toothed leaves curled dagger shaped and bird figures in various postures among them, sometimes located dabaz legend animals. This enrichment Umeda, no doubt, has been active creative power of muralists from the Ottoman palace. In particular, the administration of nakkaşbaşı Calusa the miniaturists like Şahkulu and Karamemi, they have created several patterns for tile master. Ottoman palace style created by this lush resources, provides a stylistic integrity in the ceramic art with a variety of art in this period. Istanbul Suleymaniye Mosque (1550-57) mihrab wall, red for the first time used, springing from spring tulips flower stems and dip, the new style with tile involving naturalistic flowers like carnations clearly revealed. The mihrab on both sides of the written medallions, the great calligrapher Karahisari and student Hasan Çelebi products.rüste Pasha Mosque period (1561), the 16th century’s second half tile art to the source is to be the display of the whole pattern, altar, walls, flashy structure to be covered by all of the pillars tiles . Istanbul Galley Sokullu Mehmet Pasha Mosque (1571), in pandantifle the transition of the dome of the tile decorations, window in the pediment, the architecture to take place in the wall around the marble altar and the pulpit of the cone has a successful arrangement spreads. In addition, Istanbul Piyale Pasha Mosque (1573) decorate the tiled niche, similarity between patterns of the fabric exhibits period. 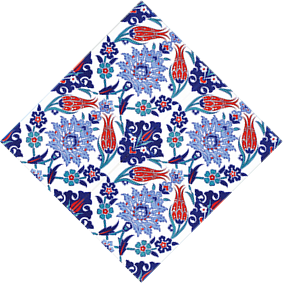 Edirne Selimiye Mosque (1569-75) tiles, as seen from the decree dated 1572, Iznik was special ordered. This structure, which is compatible with the architecture of the tile decoration, architecture reveals the crushing superiority of the conscious placement in the most successful manner. The mihrab wall, Koike pulpit wall, corners of the belt with galleries, window pediments and especially the sultan’s loge is covered with top quality tiles of the period. Tiles on the sultan’s loge, reached the second half of the 16th century rule, is crowned with spring opened trees and apple trees. Üsküdar Atik Valide Mosque (1583) rising tile panels on either side of the altar wall vase overflowing with a variety of flowers and blooming trees 17. In art the century tile will be the source of art. 17th century, a pause, and the decline in technical terms from the first half starts. Coral turns brown, other colors fade, flow are seen under secret. Loses its luster glaze cracks appear, white background dirty and also won a mottled appearance. The patterns while keeping the older power for a while, gradually lose their subtleties and dull. A solid thin blue color replaced black outline are taken.istanbul the Sultan Ahmed Mosque (1609-17), the last great work of Turkish tiles of the most brilliant period of sample collection. According to the records of this nature, 21043 tiles were used. In particular, the upper floor has been opened in spring seen from the tile panels covering the walls of the pew trees, vine wrapped cypress trees, grapes, tulips, hyacinths, carnations bundles, large peony and symbolic three top designs surrounded by clouds of China, star geometry pass as separate and very different motives have been brought together into panels, which give the impression that they were collected tiles. In this structure, the second half of the 16th century and early 17th century Iznik and Kutahya tiles together are used. topkap Palace tiles are collectively reveal the entire period of Ottoman tile art. Built by Fatih Sultan Mehmet, now Archaeological Museum Tiled Kiosk located in the garden (1472), the first Ottoman period serene mosaic tile art reveals the stylistic development of the new composition and color is a monumental structure. 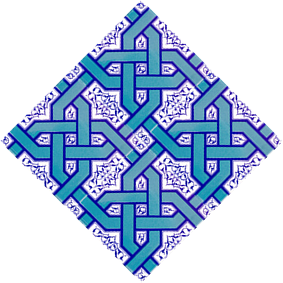 The outward facing part of a flashy entrance iwan format, geometric compositions, large kufi and sülüs articles, increase the effect. The Topkapi Palace colored glaze techniques made tiles in front of the supply Chamber 16 at the Palace of the art.topkap the example of feature-century at the beginning of the 16th century, the second one of the section where the highest quality tile half is Mantle Office. Double bird on spring boards logged trees, to show that the bright red used in a wide range of soil is important açısınan. Sultan heat. In Murad Office (1578), china, pots all over the walls up to the dome skirt. Second half of the 16th century in the quality tiles, red on a white background, China where clouds green, pomegranate flowers and curved serrated leaves are seen. The spring is located next to the January cone branched composition of two, while the front of the Chamber in accordance with the Sunnah dated.1640 location decorate with tiles of various periods. Longer period can not be made of high quality ceramic, this structure is used tiles or be removed from elsewhere in the palace who store. 1:20 x 0:34 m. monolithic tile panels in the size, variety of positions in the bird figures on a large leaves and branches bent şakayıkl with turquoise and blue tones on a white background, while at the bottom of the Far Eastern origin, there are two legendary figures of deer. The Palace, which is shaped according to certain patterns of muralists in a panel similar to the smaller size of these boards, are the curved leaf and bird figures on a flowering branch from a vase. Interestingly, this panel is to take place within the like Baghdad Koike is dated 1639. However where the composition rather than as an integral panel is formed by combining seven sheets. This tiles, despite slightly roughened stylistic and technical problems, made by looking at the originals of the 16th century in the Circumcision Room kopyalardır.17 quite successful. century tiles in the Harem section yet in terms of patterns that maintain the creative power of art, tile coatings on the Valide Sultan and princes Office, the place is overflowing with a variety of flowers and trees of spring vase adds a heavenly garden view. 17th century a contribution in this area is the depiction of Mecca and Medina to take place in the Turkish tile art. Such a panel is located in the Valide Sultan Chamber of worship. The inscription is of such boards, they document the nature of the period in Iznik .dwindling effectiveness of the place, began to Kütahya. Üsküdar Tiled Mosque (1640) mihrab, minbar, and the success of the cone reminiscent of Iznik and Kutahya tiles products, niche walls reveals. Istanbul Yeni Mosque and Complex’s (the 1663) tiles, despite the second half of the 17th century regression techniques, shows that still use a wide variety of designs. Green in almost every area of ​​the building, which was dominated by the tile rastlanır.18 turquoise and royal blue. Earlier century Iznik tile making ends by a more canlanama. Sultan heat. Ahmed and the Grand Vizier Damat Ibrahim Pasha, Turkish tiles found in attempt to revive. Palace in Istanbul Tekfur, brought a new factory foreman from Iznik and furnace material is installed. 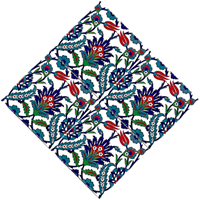 Originally made like Iznik tiles. But, this trial is a very short time and Tekfur tiling and ends after 25 years. Tekfur Palace tiles collected the most interesting examples of these products under the name of Ali Pasha Mosque in Hekimoğlu (1734) and Sultan heat. Ahmet Fountain (1732) is located under the eaves. 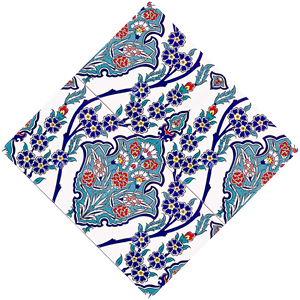 Although similar to the pattern in terms of Iznik tiles, construction techniques of Tekfur Palace tiles are not successful. Secrets have received a blue hue, cracks appeared, fade in color and has started to flow. These tiles are not seen in the art until then yellow and orange tiles in underglaze techniques .to life in addition to these efforts, Kütahya has continued its activity as a single tile center during the 18th century. But, far from the splendor of the palace of art, created by the more schematic style of folk art has emerged bouquet of flowers and rosettes. Uskudar Yeni Valide Mosque (1708), Kütahya Hisar tiles laid during the repair in the Bey Mosque, 1750, Antalya Müsellim Mosque (1796), and the mosaics in the Topkapi Palace in various locations, the properties the characteristics of this period, dominated by the Neo-Classical style that varies from a revival in the early 20th century. 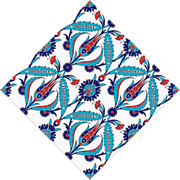 turning to the classic pattern of Iznik tiles, successful examples are given. Sultan Mehmed Reshad Tomb of Eyup (1918) that covers the tile panels, vine-leaf cypress trees, vase overflowing with flowers, trees in spring, with the participation of color variation in the red illustrates the revival of the eyes.